Move over Potion Purple, there’s a new Disney color coming to take over the internet. The new “Dapper Yellow” Spirit Jersey is coming to the World of Disney store at Disney Springs this week. The new Spirit Jersey will be available in World of Disney on Friday, March 22. 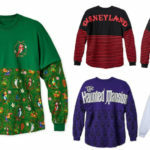 This new Walt Disney World Spirit Jersey joins a long list of the spirit jerseys, including the Disney Parks-inspired line that was released late last year. 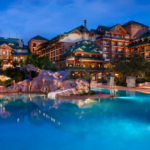 More recently, Disney released a Walt Disney World Spirit Jersey for adults, a Minnie Mouse Polka Dot Spirit Jersey for kids and an Aulani, A Disney Resort & Spa Spirit Jersey for women. And don’t worry west coast Disney fans. There’s a Disneyland version coming soon! When a couple was recently separated during their visit to Epcot, Brittany Blake turned to Facebook asking for help to locate her missing boyfriend. 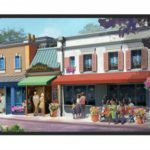 Epcot’s World Showcase will soon welcome a new restaurant in the France Pavilion. A crêperie featuring the cuisine of chef Jérôme Bocuse will add even more charm and character to the pavilion and provide guests with a fantastic new eatery. The baby male Masai giraffe born at Disney’s Animal Kingdom in January has made his official debut on the Kilimanjaro Safari savanna. 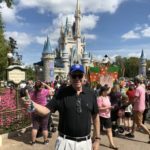 Michael Eisner, the former Chairman and Chief Executive Officer of the Walt Disney Company, visited Walt Disney World recently and shared his experience on social media.